Hey, everyone! Today we will be discussing some nice and easy solution to Fix Windows 10 Start Menu missing issue. Windows 10 has some fantastic new features, such as the Edge Browser, Virtual Desktops, etc. As all of you might be aware of the controversial move to eliminate the Start Menu in Windows 8. However, the Start Menu is back now in the latest Windows 10. Presently, the users haven’t faced any major trouble in this version except the Start menu and Cortana freezing issue. Most of you might be struggling with the unfortunate tendency of the Start menu getting stuck when you press the ‘Windows ‘key or click the Start button. Moreover, it often makes the search box to freeze. In my opinion, it is caused by a sort of bug. After trying many methods, we have come with some suitable and 100% working method of this problem. These solutions may not work for every one of you, but it’s worth a try. So, without wasting any time, check out the simple steps to fix your Windows 10 Start Menu. Windows never such issues but sometimes the files get corrupted and create trouble with the Start Menu. However, there is a quick way to fix this. 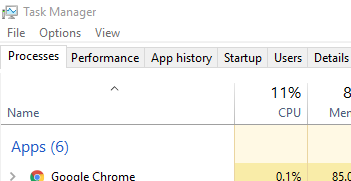 Right-click on your Task Bar and Open Task Manager. Click on More details and Run new task by selecting the File. 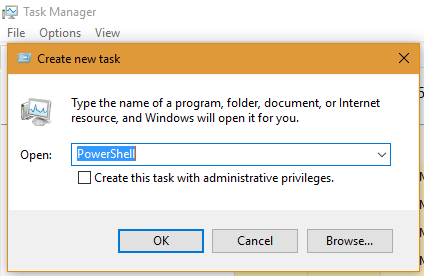 Enter ‘Powershell’ in the dialog box. Make sure that you have the Administrative Permissions to access it. Otherwise, Copy-Paste the following text, RestoreHealth / Cleanup-Image /Online / / DISM into PowerShell and click Enter. It will completely replace the corrupt files. If you faced any trouble while fixing the corrupt files, then try creating a new user account. It has proved to solve many system related problems. Don’t worry; your default settings will be transferred to the new one. But you have to move all the files manually. Open Task Manager the way you did in the above method. Afterward, More details>File>Run new task. 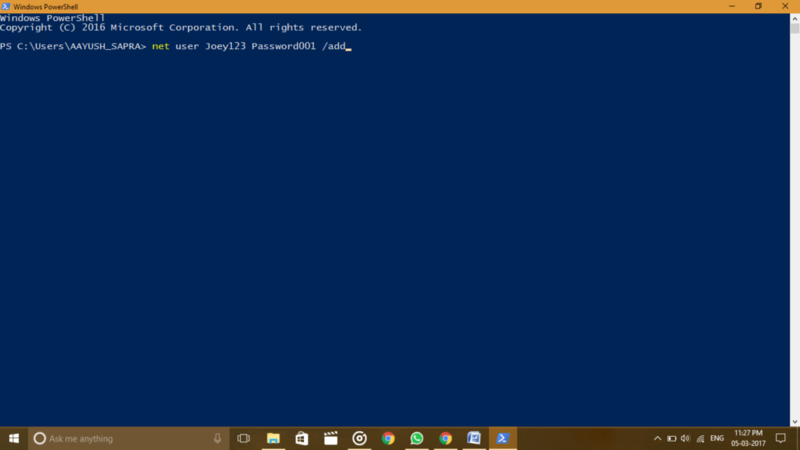 With all the Administrative Permissions, Open PowerShell. Enter net user Username(New) Password(New) /add. (Choose any username or password you prefer, Case sensitive and without spaces). Restart your PC and log in with new Username and Password. It will probably fix the Start Menu, and now you are free to transfer your files. We never want to see our users in trouble. That is why we suggest another easy and short method fix the Start Menu. Open Task Manager (Ctrl+Shift+esc) > More details. Under the Process tab. Head over to Windows Explorer. Right-Click on it and press Restart. In addition to the methods mentioned above to fix the Start menu. We have an alternative for you to download the Start Menu. This way you will be able to change your old Start Menu function and replace it with a new one. You can even add a Start Menu to Windows Vista or Windows XP. New Menu is giving access to most used or recently used programs. Shape it in the way you like, varying from its appearance or color. Works as a perfect substitute and no fixes are required in this downloaded version of Start Menu. It works completely fine with every model and operating system. You can get Windows Update Center from Microsoft Official Website. After visiting the link, follow the stated instructions to install available updates on your Windows 10 PC. After the installation process. Reboot the PC. We have talked about fixing the Start menu, replacing it and even solved the issue of it getting missed. But, the next portion is for the people who like things the Classic way. Yes, we are talking about the Classic start menu in Windows 7. By following this method, you can change from Windows 10 to Windows 7’s Classic Start Menu. 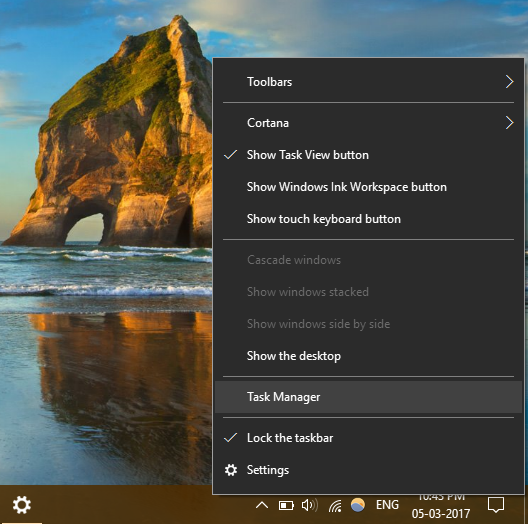 The start menu is available for every version of Windows. After the installation, you won’t get any menu, the first time you click the Start Button. You will see the settings box. Go ahead, close it and hit the Start button again. This time you’ll see Classic Shell’s Windows 7 default Start menu. You can even change the settings as per your choice amongst various designs, columns or color. Under settings, you will also get the option to revert to the Windows 10 interface. 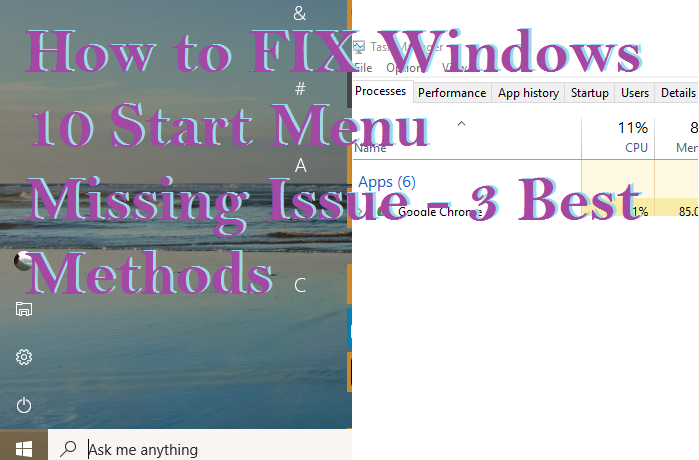 These are the best possible method to fix windows 10 start menu missing issue. You can resolve start menu error by following the listed methods. If you have any queries relating any of our ways, drop a comment in the section below. Don’t forget to share this article with your friends.